A couple weeks ago, I wrote a story how my uncle who got in trouble with the state because he had pushed a scoop of dirt up against a dry creek bank to try to prevent the bank from collapsing. As a result of demands of agencies like the Department of Natural Resources, my uncle, an 84 year old man on a limited income, has paid out over $26,000 the past year in restoration efforts even though there was nothing to restore once a 100 year flood washed the dirt away. In the same story, I detailed how the State only fined Wal-Mart, the third largest company in the world, $3,000 for allowing raw sewage from the Madison, Indiana store to leak onto a neighbor's property. The State did not even require Wal-Mart to clean up the property. As a result the neighbor's lake and the surrounding is filled with pollution. From the files of misplaced priorities comes another story, this also involving DNR. 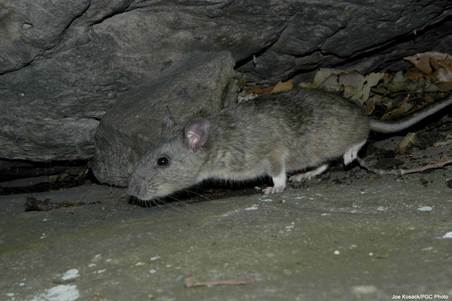 Indiana taxpayers are paying $500,000 for a DNR program to breed the Allegheny woodrats at Purdue University and to import those rats from Kentucky and Tennessee. The concern is that these rats are going extinct. The plan is to release the rats into the wild so Indiana can replenish the state's rat population. I'm sure those rats will find their way into people's homes eventually. Anyone who knows the history of this planet knows that animal species have been going extinct since the first animal appeared. So now our job is to prevent nature from taking its course? I can understand bald eagles and bison, but rats? Surely we should draw the line somewhere. I would draw it at vermin. They could outlaw rat poison at no taxpayer expense. I vote NO to having more rats in Indiana, DNR. Once we rid ourselves of the wood rats how about we get rid of some political rats?